Creator of Gamification Model Canvas, Founder of Game On! Lab, Founder & Editor of Game Marketing, Co-Founder of Gamification World Congress, Gamification Designer, Author and Speaker. Sergio has a long trajectory in gamification and has worked with hundreds of companies and institutions to engage stakeholders and get results. Also he has been collaborating with important Colleges to introduce gamification into the education sector. 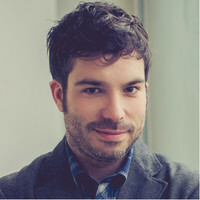 A regular speaker at events for entrepreneurs, colleges and companies, Sergio is seen as an opinion leader in his field and is often called upon by the press and media to talk about gamification, engagement and digital strategies.